A Total Solution - Innovation Award Winner – International Counter Terror Expo London. Until now it’s not been easy to find a reliable supplier of solutions for all of your event management and security requirements from one source. Based in London, ARC Event Solutions Ltd (ARC) have brought together a consortium of partner companies to provide a world class collection of globally experienced personnel, skilled in major International venue management, event production, health & safety and crowd control management. 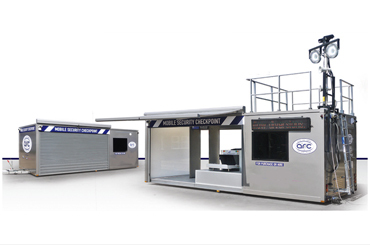 ARC Event Solutions Ltd have also created a number of unique innovative security equipment products, such as the Mobile Scanning Vehicle. These solutions and skilled staff ensure additional safety and surveillance of a high standard for any event. The team’s UK experience with the recent 2012 Olympics means all the partners offer a range of services and experience gained from service within the major event industry, UK special forces and the Metropolitan Police Force at Scotland Yard. The management team of this unique consortium have been working in the Security and Event Management business for over 30 years, working experience gained not only in the UK but taking British expertise to other major international markets. They bring together a spread and depth of practical sector knowledge gained in the field that has included advisory contribution to Government public event safety policies now covering every type of major gathering including Royal events, spectator sport, entertainment, political and other types of contentious gathering and the venues in which they are held. The team has a complete understanding of the complexity of the Security and Event Management business and a resolution to deliver the highest possible results. Through the use and knowledgeable application of the latest and most innovatory current technology to protect the public, working staff and sensitive installations/sites/services/events from threat and attack by third parties. ARC Event Solutions Ltd achieves this through the extended practical experience of its personnel, partnering with leading technology and specialist security providers to furnish clients with the necessary advisory expertise, security cover and appropriate current technology where they want it, when they want it, how they want it. AP Security have utilised the ARC MSCP3 on a number of occassions. Mainly for VIP Events and Live Music Festivals. We Would recommend this unit for soft deterrent with very good capabilities! The MSCP 3 trailer is a fantastic, practical answer to the need to put in a improved level of security in a short space of time. It is a very inexpensive but effective option for event planners to ensure the highest level of security, quickly and effectively.